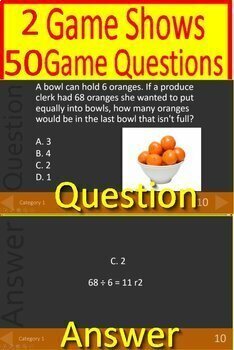 4th Grade Math Test Prep - Raise your scores using these practice tests AND PowerPoint Review Game Shows! 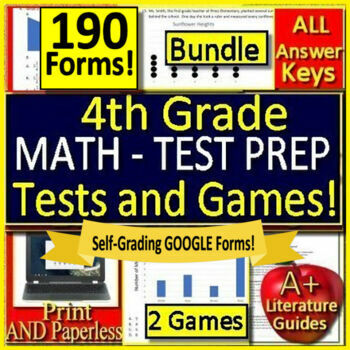 Includes 2 tests with a total of 90 practice questions and answers, and 2 Jeopardy style math games with a total of 50 game questions and answers. 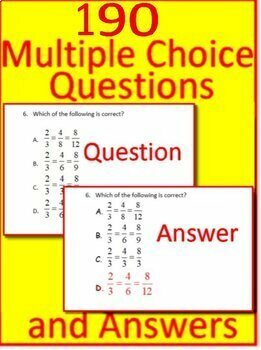 The tests can be taken on paper (print and go) or online using paperless Google Docs. Both versions are included with your purchase. Students can use paper copies or complete online using chromebooks, ipads, desktops, etc. The games can be edited in PowerPoint. 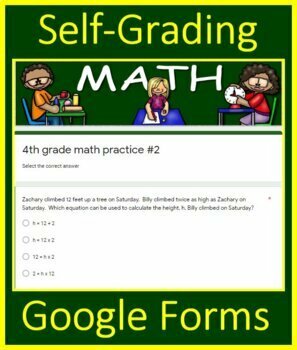 Includes a link to Google Docs so students can take them online over and over again, and teachers can save copies and time! Buyer's Note - the tests are .pdf and Google ready, but the games work better in PowerPoint.